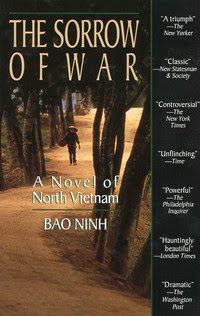 Kien, the protagonist of this rambling and sometimes nearly incoherent but emotionally gripping account of the Vietnam war, is a 10-year veteran whose experiences bear a striking similarity to those of the author, a Hanoi writer who fought with the Glorious 27th Youth Brigade. The novel opens just after the war, with Kien working in a unit that recovers soldiers' corpses. Revisiting the sites of battles raises emotional ghosts for him, "a parade of horrific memories" that threatens his sanity, and he finds that writing about those years is the only way to purge them. Juxtaposing battle scenes with dreams and childhood remembrances as well as events in Kien's postwar life, the book builds to a climax of brutality. A trip to the front with Kien's childhood sweetheart ends with her noble act of sacrifice, and it becomes clear to the reader that, in Vietnam, purity and innocence exist only to be besmirched. Covering some of the same physical and thematic terrain as Novel Without a Name (see above), The Sorrow of War is often as chaotic in construction as the events it describes. In fact, it is untidy and uncontrolled, like the battlefield it conveys. The point of view slips willy-nilly from the third person to the first, without any clear semblance of organization. The inclusion of a deaf mute who falls for Kien, and acts for a while as a witness to his life, seems gratuitous. The faults of this book are also its strengths, however. Its raggedness aptly evokes the narrator's feverish view of a dangerous and unpredictable world. And its language possesses a ferocity of expression that strikes the reader with all the subtlety of a gut-punch. Polishing this rough jewel would, strangely, make it less precious.